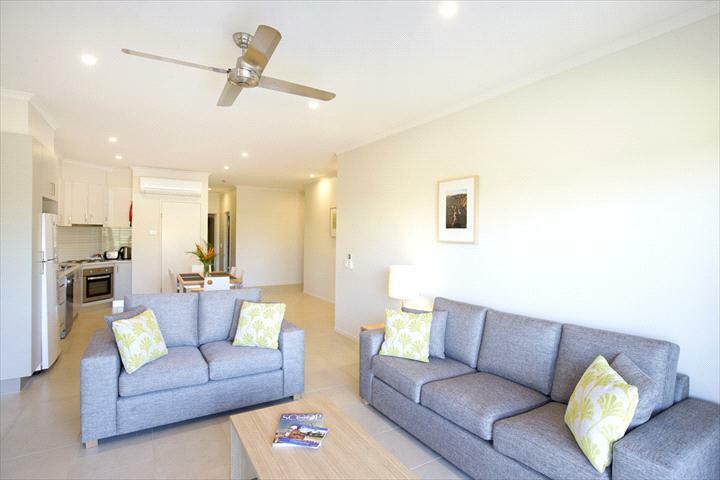 Kununurra's newest and only 4.5 star accomodation, Freshwater East Kimberley Apartments offers self-contained One, Twon and Three bedroom apartments set in lush tropical gardens with Kununurra's premier free-form resort style pool. 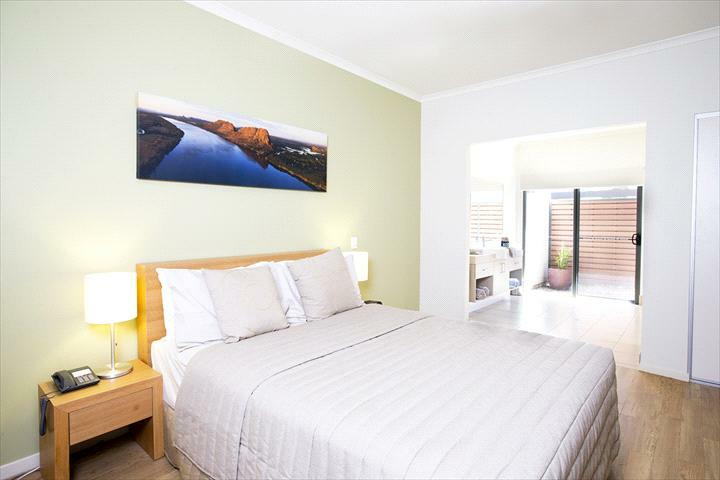 This award winning property is a haven for leisure or business travellers with Free Wifi, Foxtel, Guest Laundry, BBQ facilities, and airport and town transfers. 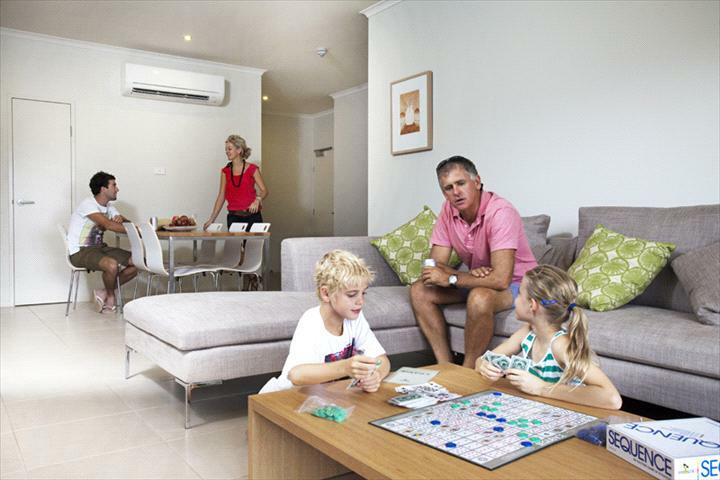 Freshwater East Kimberley Apartments comprises one, two and three bedroom self-contained apartments, and studio apartments with kitchenettes. Apartments are a contemporary design, each with a private courtyard or balcony, open plan design with maximum use of natural lighting and garden or pool views. Balconies and courtyards have been designed to make the most of the Kimberley tradition of 'outdoor living' and to take full advantage of cross ventilation and cooling breezes. Each apartment is air conditioned and contains a fully equipped kitchen (excluding studio apartments). Short-stay apartments also include an additional private outdoor shower and courtyard. A further 28 short-stay and 8 permanent apartments will be completed as part of Stage 2 (late 2012). Located on Victoria Highway, opposite Celebrity Tree Park in Kununurra. One Bedroom Apartments are self-contained with modern fixtures and fittings. 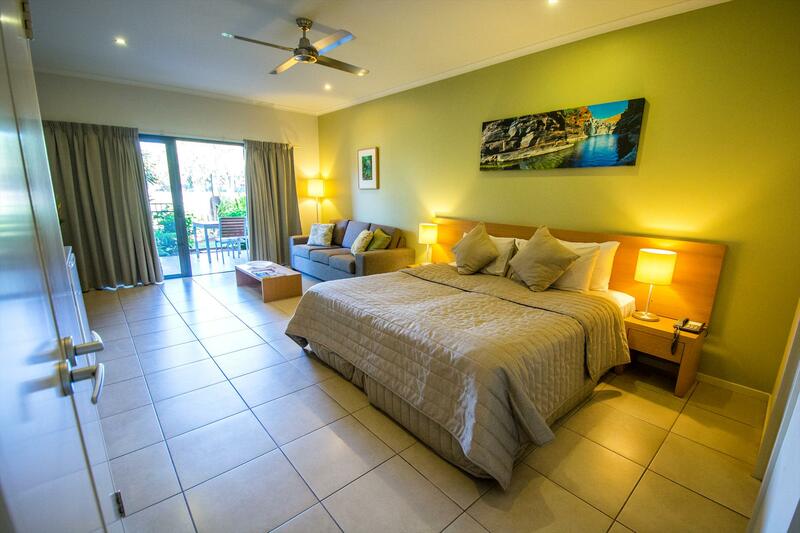 Rooms consist of a queen bed and an ensuite bathroom. A unique outdoor shower is also provided for guests. All rooms have a private courtyard (or balcony if upstairs). Breakfast packs can be purchased at the time of booking. Two bedroom apartments are fully self-contained and consist of one bathroom. Bedding configuration is 1 x Queen in the master bedroom and 2 x King Spit (can be zipped together) in the 2nd bedroom. Three bedroom apartments are fully self-contained with an ensuite bathroom in the master bedroom as well as access to the outdoor shower. There is also a separate bathroom (with bath) and additional toilet. Bedding configuration is 1 x Queen Bed in the master bedroom, 2 x King Split (can be zipped) in the 2nd bedroom and 2 x Single beds in the 3rd bedroom. Cancellation & Minimum Stay Policy - Cancellations made 24hrs before check-in time will be charged 20% of the total cost of the original booking. Early departures whilst in-house are non-refundable and we recommend travel insurance to cover cancellation fees incurred. Please ensure you ask for a confirmation letter when making a booking. Minimum Stay (Events): bookings during the Friday Saturday and Sunday nights of the Kimberley Moon Experience require a booking minimum of three (3) nights. Cancellations made within 48hrs of 6pm Friday evening are non-refundable. Cancellations made 3-7 days from 6pm Friday evening incur a 50% cancellation fee. 8-21 days incurs 20% cancellation fee.